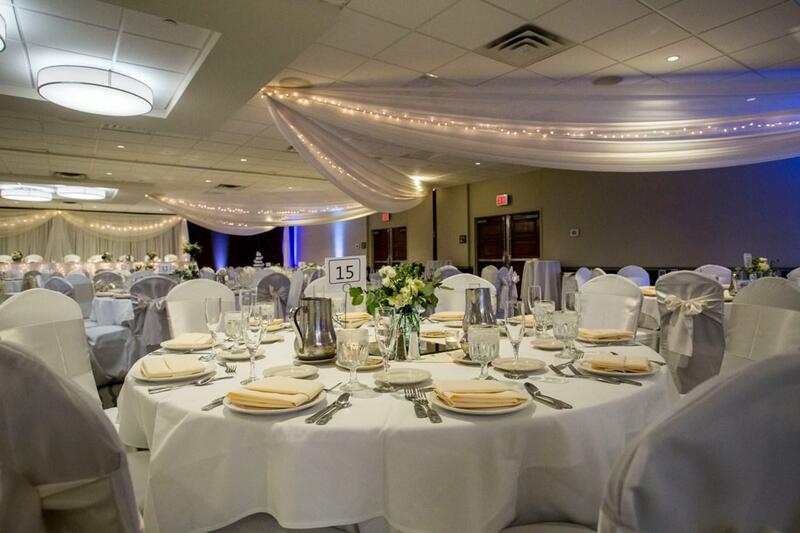 Rent Embassy Suites by Hilton Bloomington/Minneapolis | Corporate Events | Wedding Locations, Event Spaces and Party Venues. Your Wedding Day needs to be perfect: the perfect flowers, the perfect place, and the perfect price. The Embassy Suites Bloomington understands this. That's why we make your Reception planning easy and stress-free with all-inclusive packages. Our Ballrooms and Atriums are elegant settings. If you’re looking for a place to hold your Wedding Ceremony each of our open-air atrium provides a wonderful outdoor feel with greenery and a covered sky-lit glass ceiling for a very unique setting. Our Ballrooms can accommodate groups from 20 – 420. You can have the perfect wedding day with us. Let us cover the small and big details, we'll make sure your special day is extraordinary. For your convenience, the hotel provides complimentary shuttle transportation to Mall of America, MSP Airport, and other local attractions. Relax in beautifully decorated two-room all -suite accommodations in Minneapolis with separate living and sleeping areas, two flat-screen TVs, wet bars, refrigerators, microwaves and WiFi. Start the day with a complimentary cooked-to-order breakfast, and each evening, relax with your group or meet new friends during our Evening Reception* with complimentary refreshments. All guests enjoy access to our full-service fitness center and indoor pool. Host successful meetings in 12,000 sq. ft. of event and banquet space at this all-suite Minneapolis hotel that offers board rooms, meeting rooms and two ballrooms. Our spacious meeting facilities in Minneapolis provide guests with the perfect location to host any event.